This plant has been a favorite for many years now. 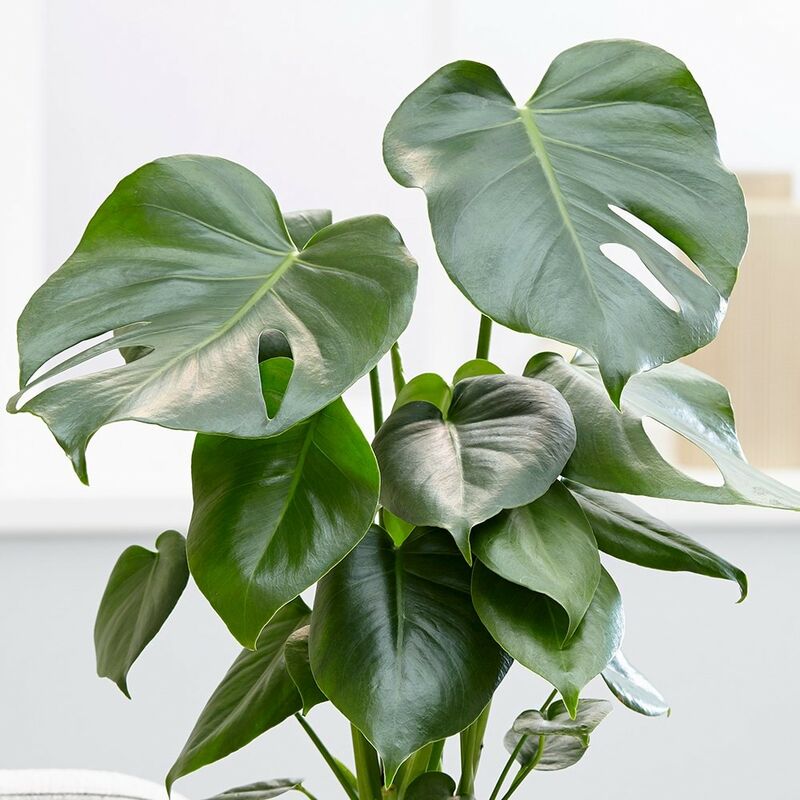 Once it gets going it can be truly impressive with large, glossy heart shaped leaves which as the plant matures have the distinctive perforated and deeply cut leaves. Please note that the pot in the photograph is not supplied with the plant (which is sent out in a black plastic pot). 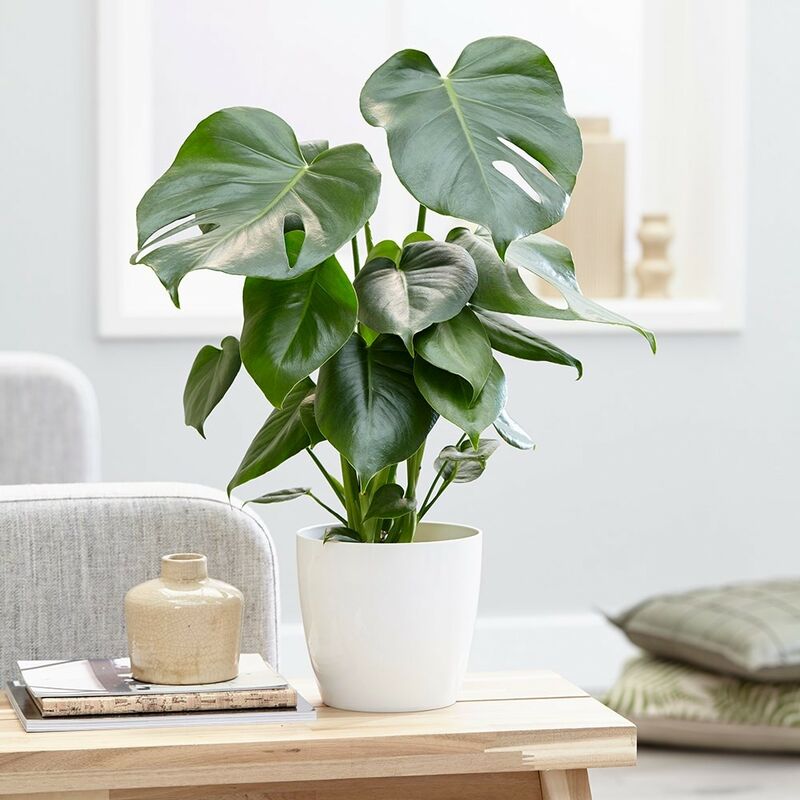 They do however make excellent potted plants, and if you wish to pot yours up, we do have a wide range of pots on our website to choose from.